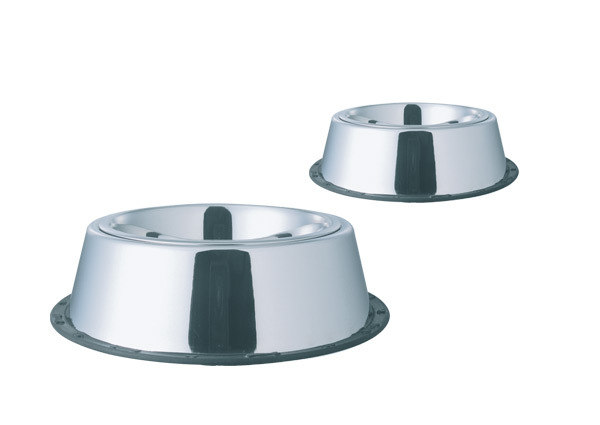 Specially Belly Shaped Non Tip Anti Skid Bowls. 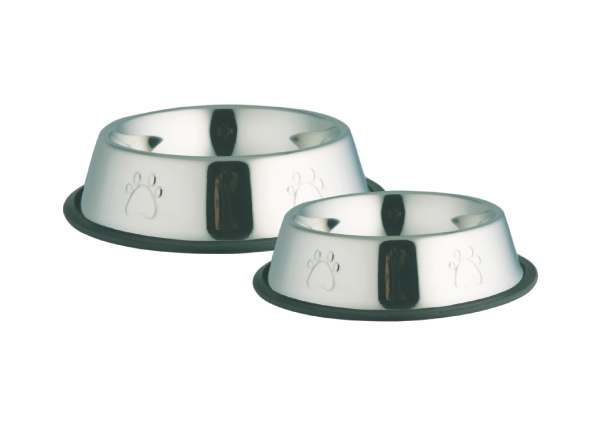 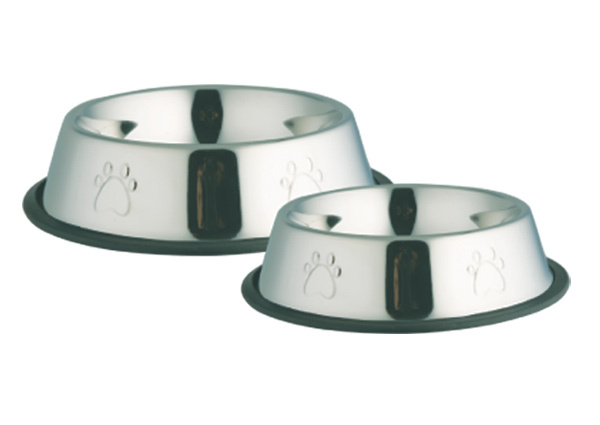 Wide non-skid rubber base Embossed Paw & Bone will help not to tip or slide. 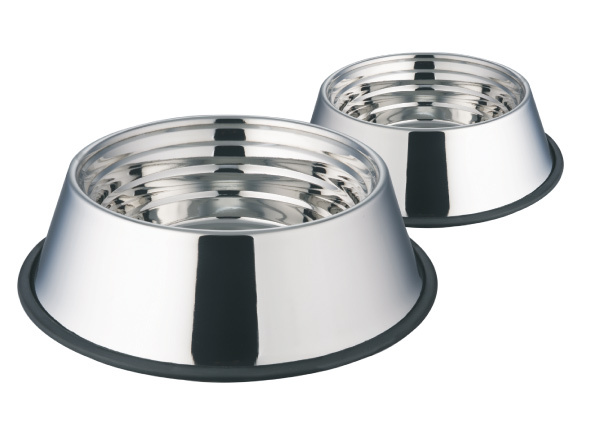 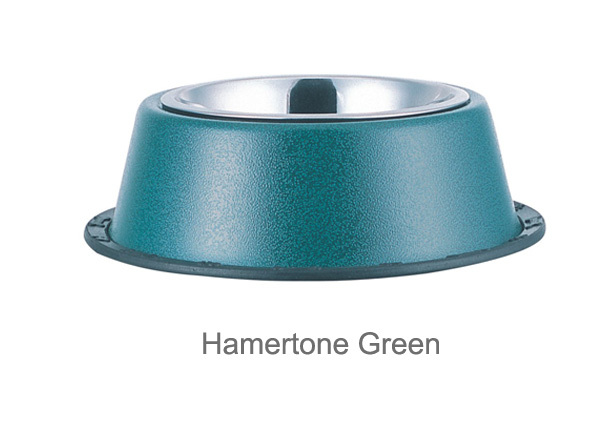 Durable, easy to clean, heavy weight, high quality stainless steel.